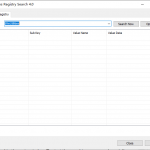 How to clean and repair invalid registry entries and errors in Windows? The registry is a database that contains information and settings for all the hardware, software, and user preferences of your computer. 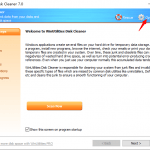 When you install, uninstall, or simply use software programs, registry entries are created, modified, or deleted. 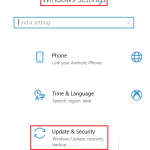 If you uninstall an application incorrectly or an error occurs during the uninstall process, the registry entries belonging to the application may remain in the registry. This may also happen if a file referenced from the registry gets deleted. As a result, the registry gets stuffed with invalid and orphaned entries. Many invalid records remain in the registry long after the corresponding applications have been removed. This slows down your computer and can cause errors in other installed programs. To avoid problems with your software and optimize the performance of your computer, these invalid entries must be deleted. 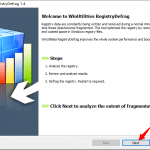 Select areas in the Windows Registry you want to be examined for errors. 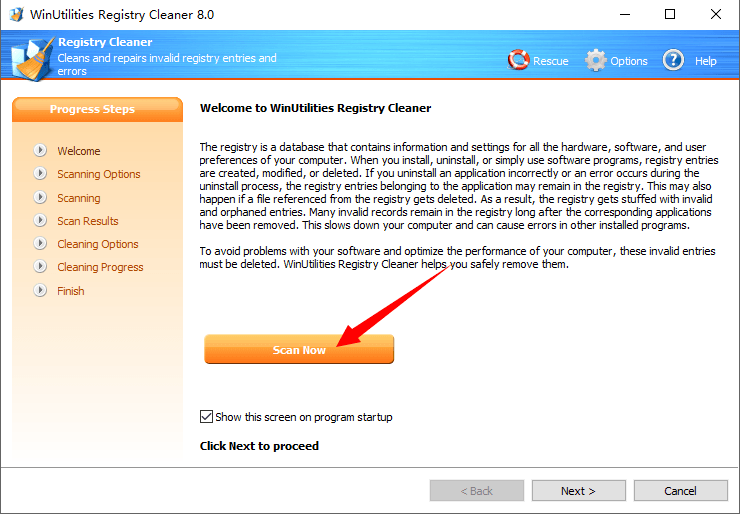 WinUtilities Registry Cleaner supports to examine the following items for errors: User Software Settings, Common Software Settings, System Settings, ActiveX/OLE/COM Sections, Uninstall Section, Recent Applications, Invalid Start Menus and File Associations, Shared Dll Section, Unused Language Codes, Unused Time Zone Codes and Run Sections. 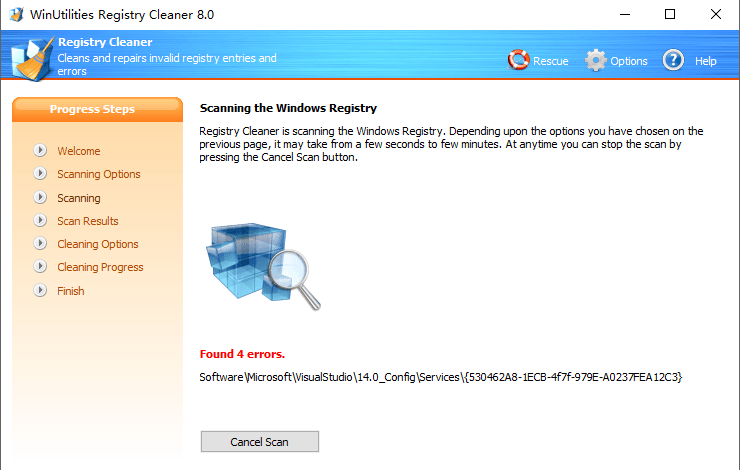 Wait while WinUtilities scans the errors in registry. Depending upon the options you have chosen on the previous page, it may take from a few seconds to few minutes. At anytime you can stop the scan by pressing the Cancel Scan button. Check the scan results. This screen will show how many errors were found in registry. You can uncheck an item if you want to keep it on your PC. 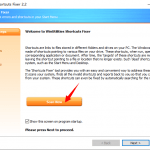 You can optionally create a restore point in this step. Because it is just for an extra safety. 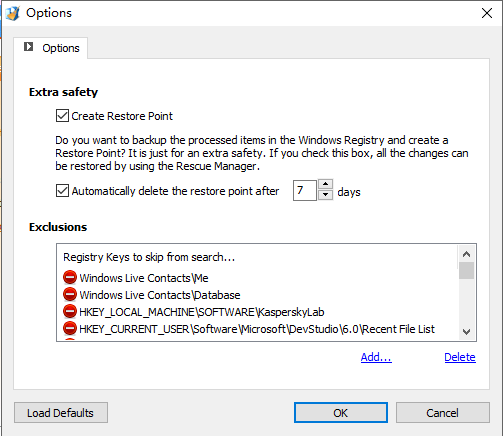 If you check the “Create Restore Point“, all the changes can be restored by using the Rescue Manager.